One year ago, the world awaited Gennady “GGG” Golovkin’s 19th defense of his middleweight title against Saul “Canelo” Alvarez. The fight had it all: two pound-for-pound superstars, lineal middleweight supremacy on the line, crowd-pleasing styles, and just enough wait time on it to make it savory for the blood-thirsty fight freaks. What the match didn’t have, however, was animosity between the two fighters. If anything, the build-up was filled with mild mannered mutual respect. Not the kind of build-up that preceded some of the best rivalries in boxing history, such as Ali vs Frazier, Hagler vs Hearns, or Barrera vs Morales. The first fight satisfied almost no one. It was the scorecard heard around the world, and it only precluded the bad news the fans and the GGG camp were about to receive. Despite a hard-fought 12 rounds that seemingly favored the more active, more consistent Kazakh champion, the official verdict was a draw. The fight, while not the barn-burner that many expected, was still entertaining enough to warrant a rematch, especially under the controversial and inconclusive conditions in which it ended. 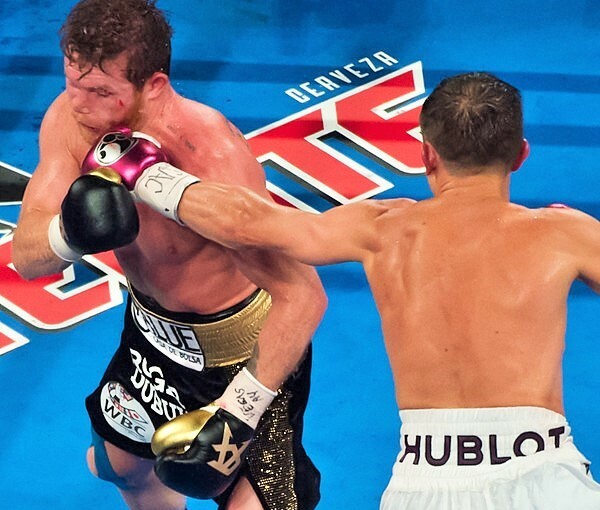 Fans were delighted at the fact that Canelo and Golden Boy Promotions were able to make a rematch deal with Golovkin and K2 as quickly as they did, especially considering how long it took the two parties to work out a deal for their first bout. Perhaps we’d get an undisputed middleweight champion this time around, perhaps it would even be a better fight, perhaps it would be free of controversial scoring. But, of course, all of that was just wishful thinking for the millions of boxing fans who were forced to suffer another delay. This time, however, no one could point the blame at GBP for putting the brakes on another hotly anticipated event. The blame solely belonged to Canelo Alvarez, as he twice tested positive for clenbuterol, a banned performance enhancing drug. The “bad blood” was evident at the weigh-in. 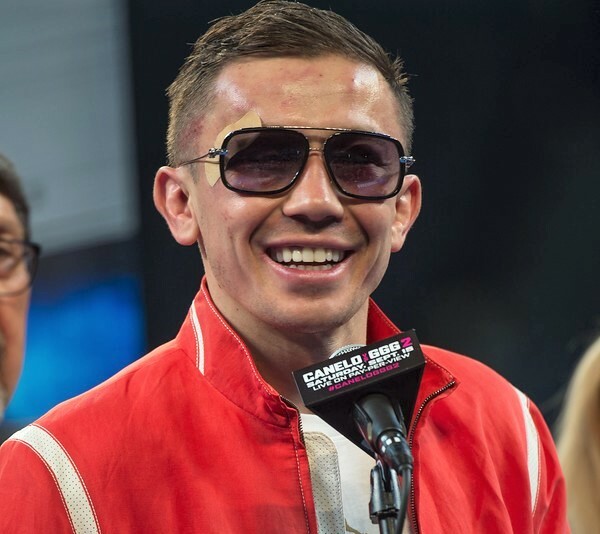 Golovkin, who is typically reserved and mild-mannered when it comes to discussing his opposition, almost exhibited what appeared to be hatred towards Canelo, and for good reason. The same fighter who would get the lion’s share of the purse over him, while holding none of the hard-earned belts at 160, had not only received a dubious draw against GGG, but was playing the victim after his illegal PED usage led to the cancellation of one of the biggest fights of 2018. So, if you add up all the pieces, there were plenty of reasons why fans fel the rematch would deliver far more drama than was the case in their first bout. The clear disdain between the camps came to a crescendo when Canelo charged GGG at the weigh-in, only to be separated by Abel Sanchez. Was it an act, or was it genuine That’s what boxing fans around the world would soon find out. The first surprise came right from the opening bell as Alvarez immediately adopted the role of the aggressor against the taller and supposedly stronger Golovkin. While Canelo had his moments taking the fight to GGG in their first fight, an aggressive approach was never sustained for long. 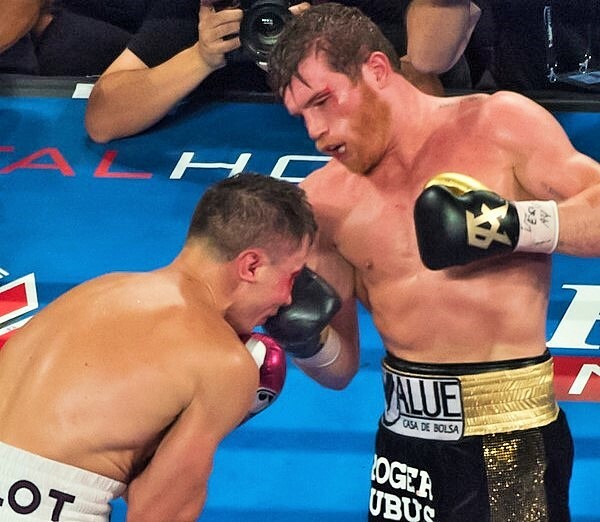 But while Canelo appeared on top after the opening two rounds, Golovkin came back in the third and fourth to outbox Alvarez behind a persistent left jab. 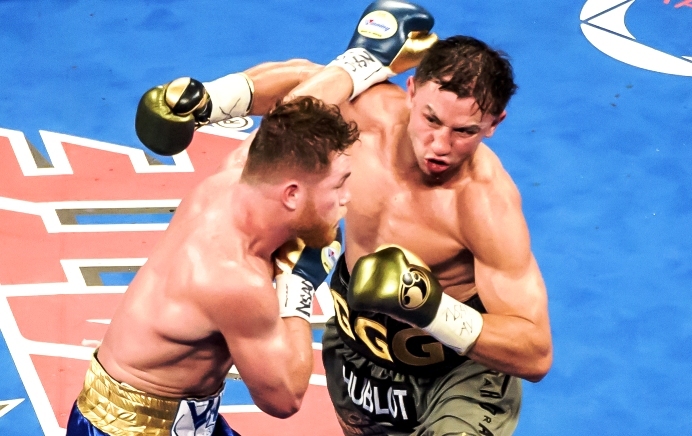 But if Golovkin had an advantage at long range with his long jab, Canelo showed dominance in his body attack, as he was steadily mixing in hard left and right hooks to GGG’s midsection which looked like they were starting to affect the 36-year-old champion. In round six, Canelo appeared to be hunting Golovkin with his ruthless body assault, and it looked like things were about to go downhill in a hurry for the receding Kazakh. 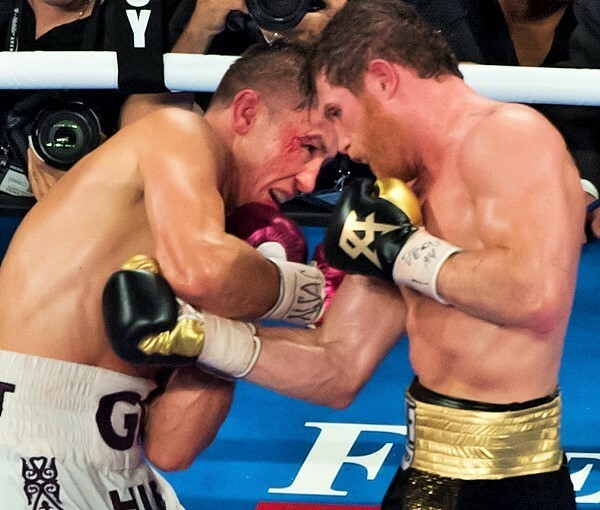 But GGG managed to hold Canelo off, and by round eight it was Golovkin who had turned the tide by backing up Alvarez for the first time all night. Round nine was, in my opinion, the best round of the fight. 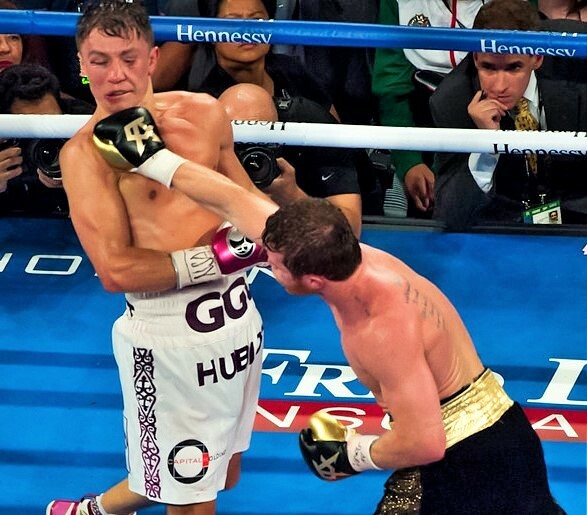 Each fighter took turns doing what they do best; for Canelo it was countering with crafty combinations to the head and body, and for GGG it was controlling distance behind his piston-like jab. In the 10th, however, Canelo appeared noticeably fatigued and frustrated for the first time in the fight, as Golovkin was starting to dominate. But Canelo, to his credit, stayed poised and continued to stalk the champion. While I had it 96-94 for GGG heading into the last two stanzas, there were several pick-em rounds in there that made you wonder how the judges had it. And the last two rounds were no exception. Each man gave a great account of themselves late in the fight, and after the final bell sounded, many in press row had the fight a draw. I had GGG up comfortably at 116-112, scoring mostly on punches landed and Golovkin’s control of distance, but it did appear to me as though Canelo landed the harder punches. 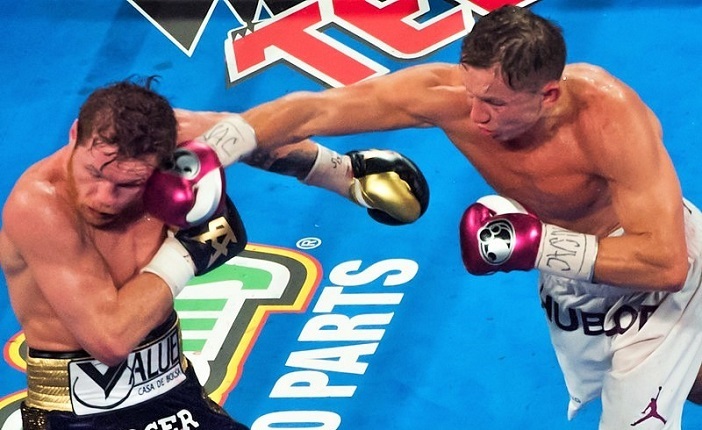 As it turned out, Canelo Alvarez was announced the winner by majority decision. At 114-114 and 115-113 (twice) for Canelo, the fight certainly was no robbery. Although there was a bit of social media outcry claiming GGG had once again been robbed, all scores were well within margin of error and there were no absurd outliers to spoil the event. However, GGG really put in a hell of an effort just to lose. Golovkin, notably swollen and cut, was clearly devastated by the decision as he exited the ring without being interviewed. And for good reason. 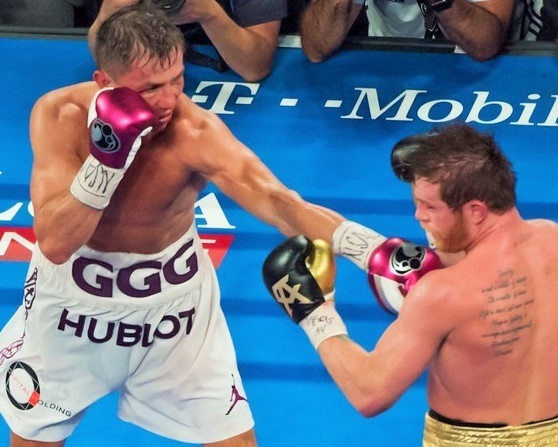 The course of events which took place since the idea of Golovkin vs Canelo was even conceived were as unjust as they were lucrative for the now-former champion. Going into their first fight, he was avoided by Canelo and GBP for more than a year and a half, was asked to fight at 155 to appease the challenger, was forced to take 38% of the purse despite bringing three of the four 160 pound belts to the table, and was only given credit for winning two rounds on a judge’s scorecard after most at ringside had him winning. Now for the sequel, he was deprived of another huge payday when Canelo popped positive for PEDs, was forced to settle on a bogus defense against Vanes Martirosyan instead, and after it was all said and done, still would only receive equal compensation with the challenger Alvarez. And after all the injustice, GGG suffered his first defeat last night after fighting one of the grittiest fights of his career, using his skill and his will to overcome the younger, stronger, quicker challenger. So did GGG have a right to march out of the ring as though he had been wronged? Absolutely. But with a performance like he gave the fans last night, it would be a shame to see him march out of the sport the way Marvelous Marvin Hagler did following his disappointing defeat to Sugar Ray Leonard. Golovkin showed that he still has the heart, endurance, and boxing skill to pose a problem for anyone at 160, even with the clock clearly ticking. As for Canelo, this is surely the biggest accomplishment of the 28-year-old icon’s 53-fight career. 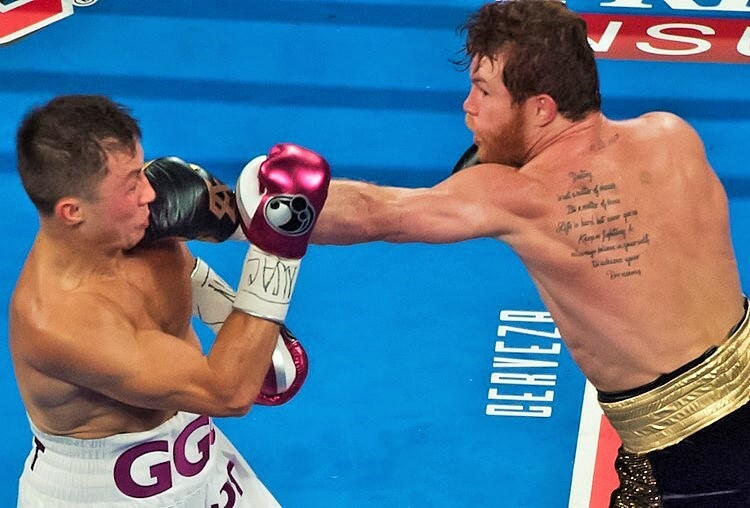 Alvarez showed grit by taking the fight to GGG from the very beginning, defying critics who claimed that he ran from Golovkin in the first fight. It’s even more impressive when you consider the fact that Canelo, who was fighting at 154 just two years ago, had walked down and pressed the fight to the man who, also two years ago, had tallied his 23rd straight knockout at 160. 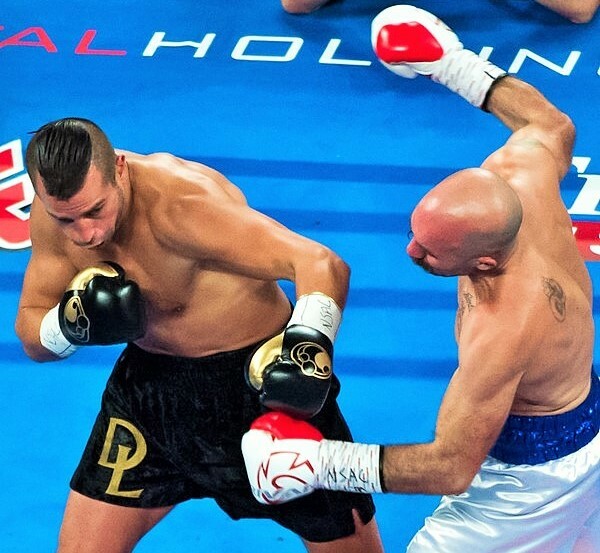 Lemieux dispatches O’Sullivan with a single left hook. The most likely fight that comes out of last night’s HBO PPV card is a Canelo vs Lemieux mandatory fight. Although the WBA’s act to make the Lemieux vs O’Sullivan match a title-eliminator was comical at best, Canelo vs Lemieux might be fun on a few different levels, and while Lemieux is grossly overmatched in terms of boxing skill, he can indubitably still crack. After 24 hard rounds against GGG, a cool-down affair against Lemieux might not be a bad idea, at least provided that Canelo can outbox the French-Canadian with the kind of ease that Golovkin and Billy Joe Saunders were able to achieve in the past. After the fight, GGG said he’s ready for Chapter 3. After that, a third fight with GGG is not out of the question, provided that the Kazakh is still active and hungry, but perhaps a more interesting fight would be a unification with the winner of Danny Jacobs vs Sergiy Derevyanchenko next month. Before GGG-Canelo 2 was announced, it appeared likely that a Canelo-Jacobs fight would materialize instead, which seemed to me as one of the best fights to make at 160. Alvarez has plenty of options. The big question surrounding Canelo is how much does this victory do to help fans forget about his PED-related mishaps earlier this year. It’s far too early for this to escape anyone’s mind, but Canelo did agree to random blood testing from one of the most vigorous anti-doping agencies in the world (VADA) and was cleared to compete. All he can do at this point is continue to fight, win, and give the fans their money’s worth. Love him or hate him, he gave the fans exactly what they wish they saw one year ago. Golvin made about 30 million,I shed no tears for him. 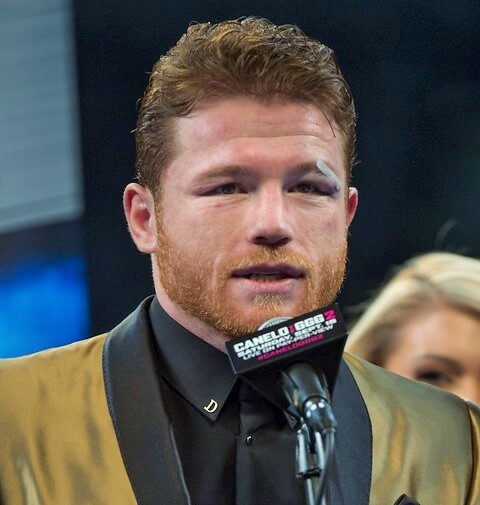 Furthermore this fight showed that Alvarez was telling the truth about the ‘meat’,but not one accuser has apologized or acknowledged that he’s always been Cleanelo .gig went way overboard with his “injection marks”,”so many doctors”,”Canelo biggest problem in boxing”,etc.Such a problem gig wants to do business a 3rd time. The superior, more skilled and versatile boxer won. In the first fight, Golovkin, a master boxer and ferocious body puncher, refused to throw bodyshots. In this rematch, he repeated the same mistake (6 bodyshots thrown). He fears Canelo’s counter punching ability, and for good reason. Canelo isn’t even close to be in the same class of punchers as Stevens or Lemieux. Golovkin, who claims to fight like Mexicans but makes a very poor acting of it , refused to throw body punches for incomprehensible reasons.